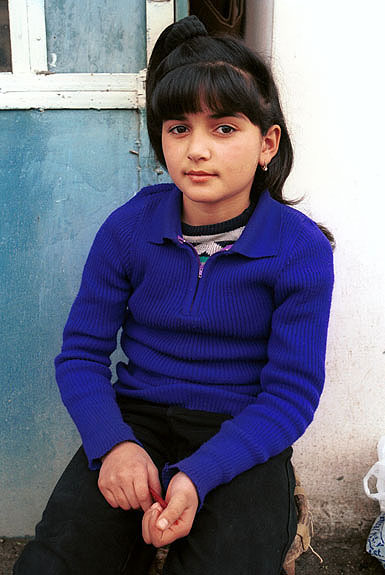 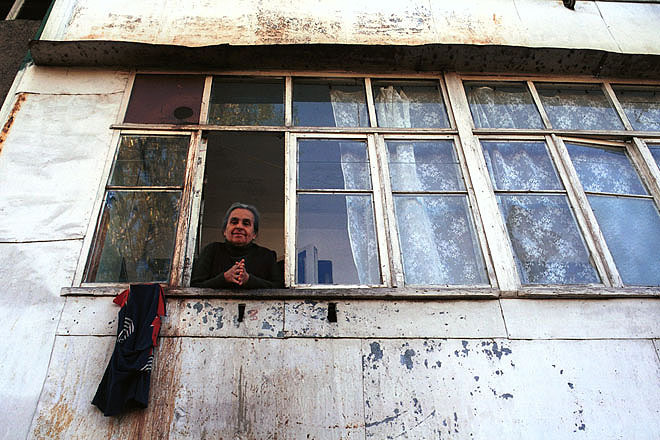 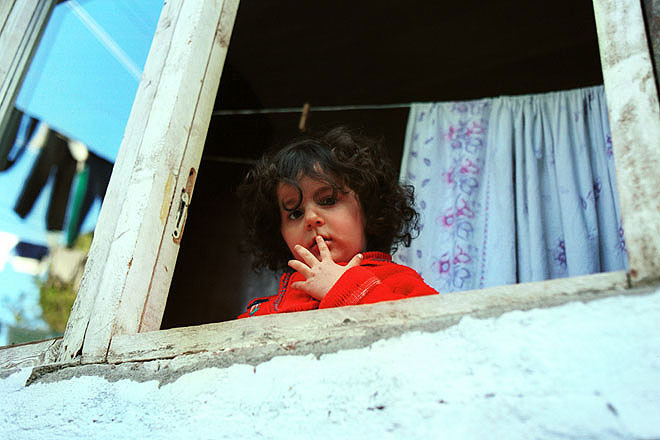 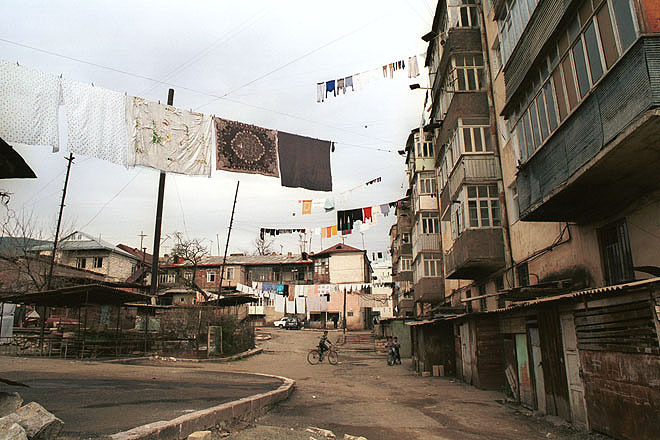 Many hundred displaced families live in schools and dormitories in Stepanakert. 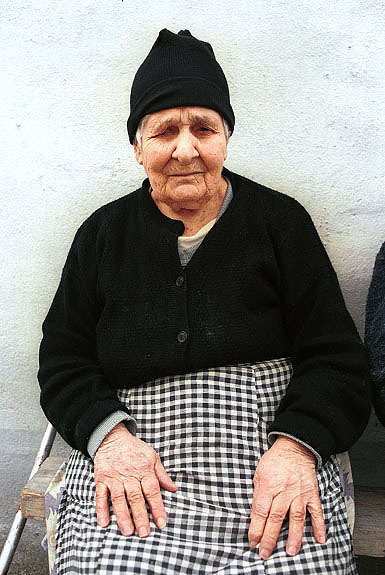 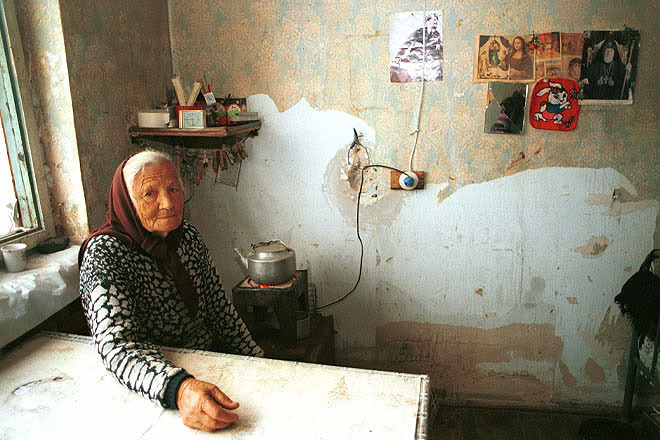 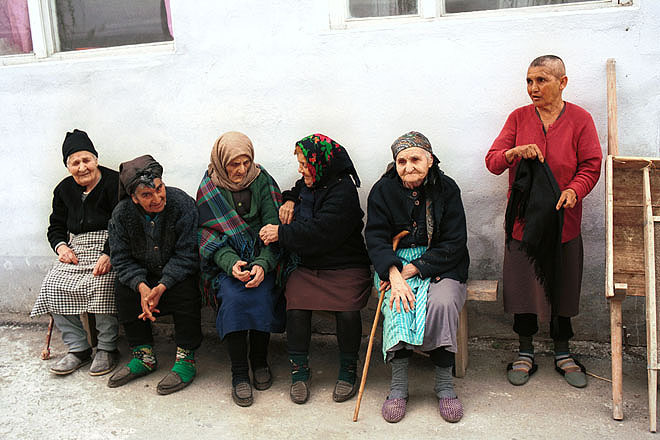 Old people's home in Stepanakert. 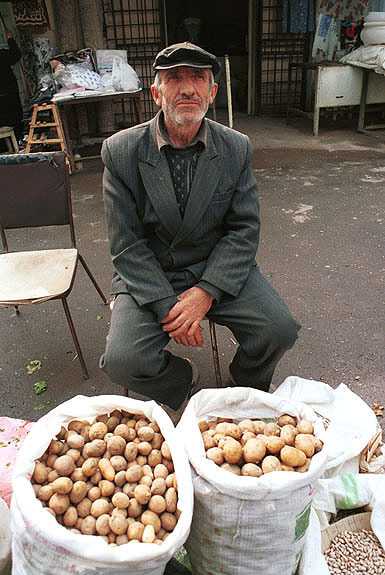 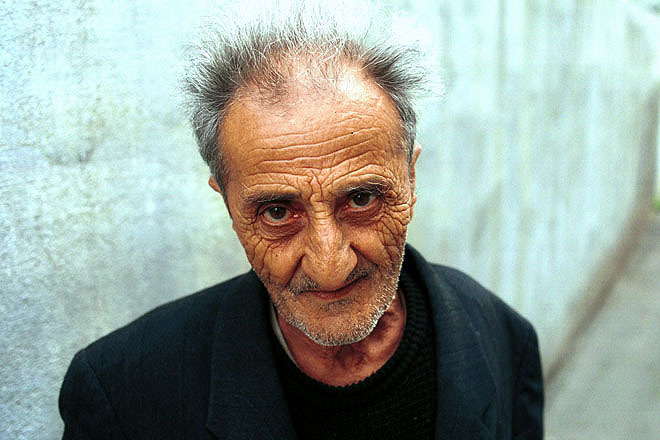 Vendor at the market in Stepanakert. 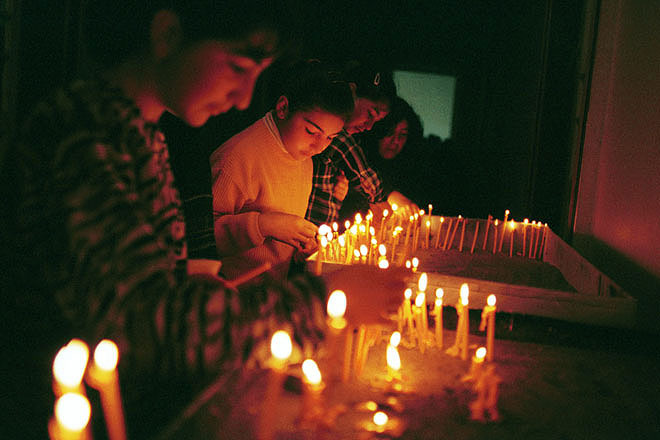 Believers lighting candles during liturgy, held in a former theater in Stepanakert, due to lack of other facilities. 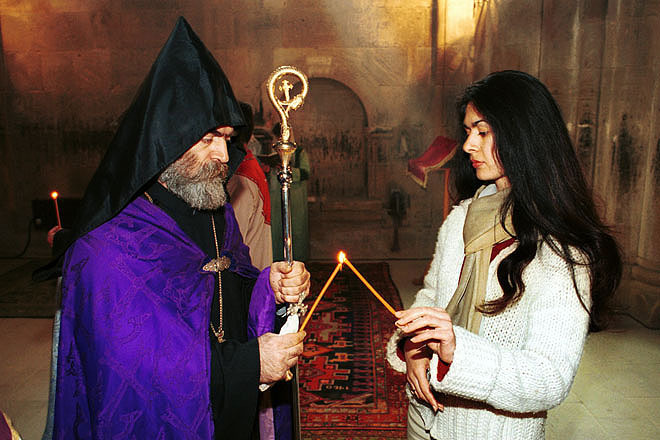 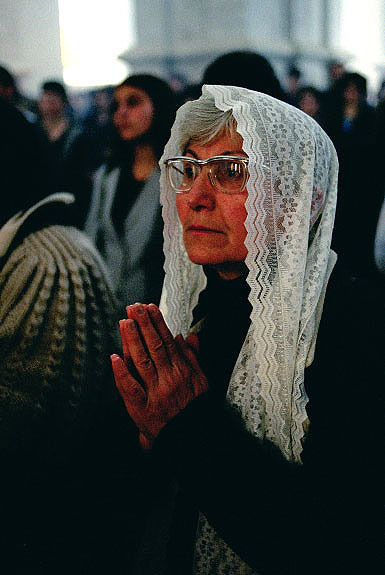 Believers during liturgy, due to lack of a church services are held in this former theater in Stepanakert. 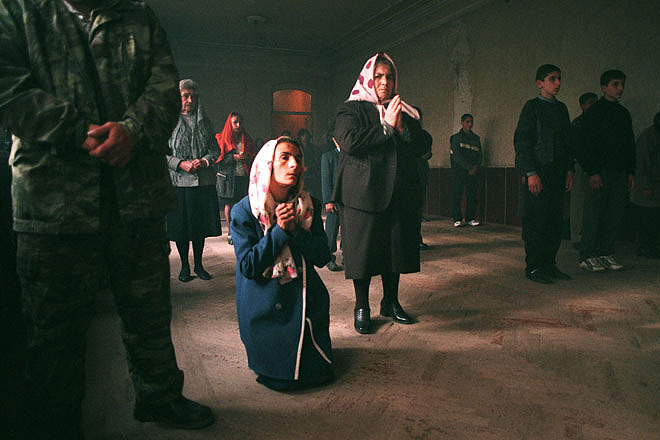 Believe during liturgy in the church of the Savior of all Nations in Shoushi. 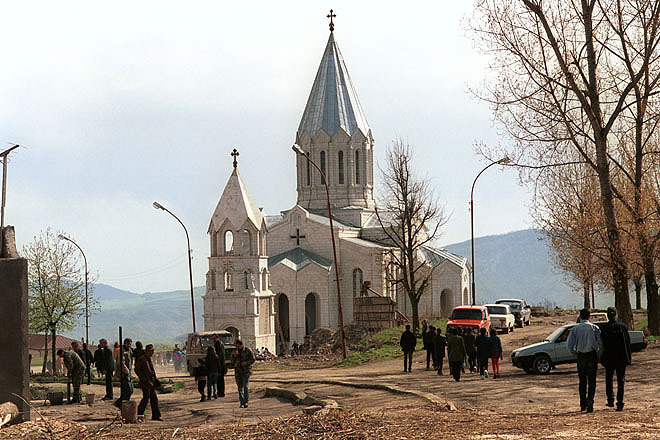 The church of the Savior of all Nations in Shoushi. 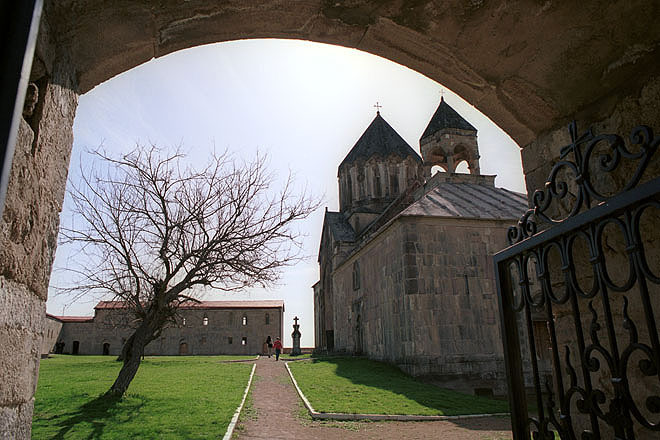 Church of John the Baptist in Gandzasar. 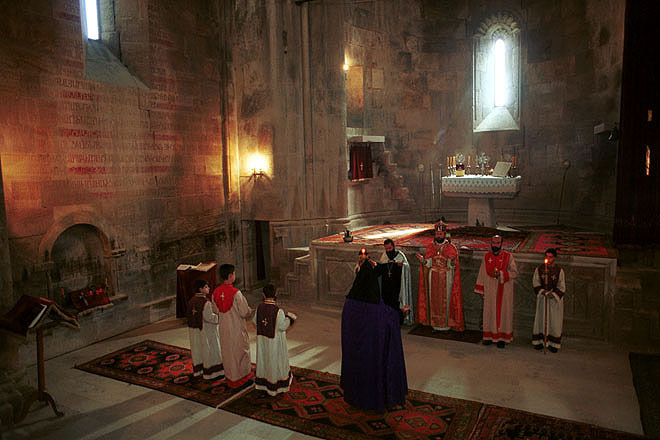 Liturgy in the Church of John the Baptist in Gandzasar. 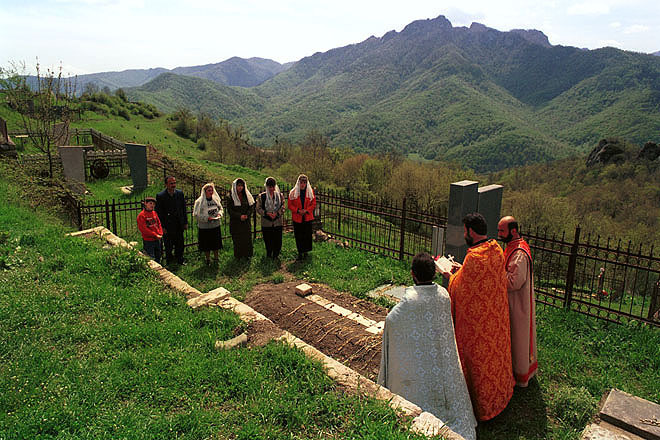 Prayer vigil in the cemetery in Gandzasar. 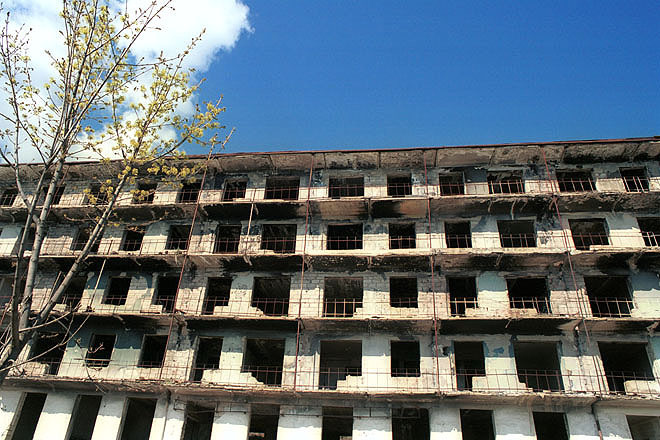 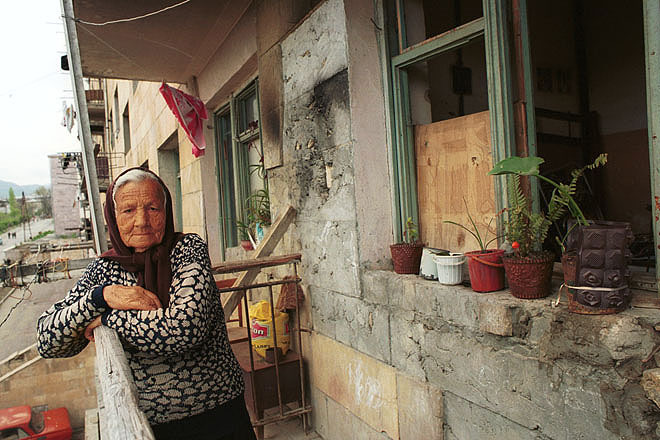 Shoushi was severely affected by the war.